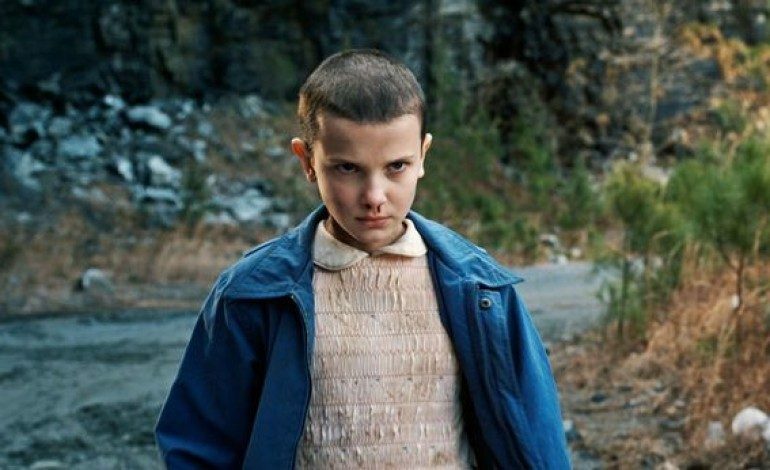 Fresh from her breakout turn as the enigmatic Eleven on Netflix’s pop culture phenom Stranger Things, Millie Bobby Brown appears to be readying her big-screen debut. The Hollywood Reporter dropped the news that Brown has signed up for Godzilla: King of Monsters, a sequel to the 2014 relaunch of the monster mainstay. News of the sequel will likely start to breaking at breakneck speed following the recent announcement that Krampus filmmaker Michael Dougherty has joined the project to direct as well as co-script the feature. Legendary Pictures is behind the ambitious expansion of the “Godzilla” universe, with this spring’s hotly anticipated Kong: Skull Island playing an integral part in that expansion. Information regarding the character Brown will portray has not been disclosed as of yet, nor has any indication been revealed as to what the general plot of the film will consist of. Additionally, no other casting announcements have been made public and it remains to be seen what exactly the connective tissue moving forward there will be with the 2014 film, which was directed by Gareth Edwards (Rogue One: A Star Wars Story) and starred Golden Globe winner Aaron Taylor-Johnson (Nocturnal Animals) and Elizabeth Olsen (Avengers: Age of Ultron). Zach Shields is co-penning the script along with Dougherty. Dougherty previously received screenplay and/or story by credits on X2: X-Men United (2003), Superman Returns (2006) and X-Men: Apocalypse (2016). Brown’s big breakthrough was ushered in with the huge pop cultural success of Netflix’s fantasy throwback Stranger Things. The show recently earned Best Drama Series nods from the Golden Globes. Brown herself is up for two awards for the show at Sunday’s Screen Actors Guild Awards – Best Ensemble Performance in a Drama Series and Best Female Actor in a Drama Series. Godzilla: King of Monsters is due to hit theaters on March 22, 2019.